Two open-vessel wet digestion methods using mixtures of (i) HNO3 and H2SO4 (WD I), and (ii) HNO3, H2SO4 and H2O2 (WD II) were developed and optimized for determination of a wide range of elements in plant reference materials by inductively coupled plasma atomic emission spectrometry. A Plackett-Burman fractional factorial experimental design with eight experiments for seven variables was used for the evaluation of the effects of several digestion variables at once. From these studies, certain variables showed up as significant, and they were further optimized by using a star-type central composite experimental design, which involved fourteen experiments. Instrumental variables such as radio-frequency incident power, nebulizer argon gas flow rate and sample uptake flow rate were also optimized. The analytical performance was assessed statistically. Nine elements in total can be simultaneously determined at the concentration levels usually found in plant materials. The agreement between measured and certified values with respect to NIST-SRM 1568a (rice flour), IAEA-331 (spinach leaves) and IAEA-359 (cabbage) proved that the developed methods are well suited for routine elemental analysis of plants or foods of plant origin. 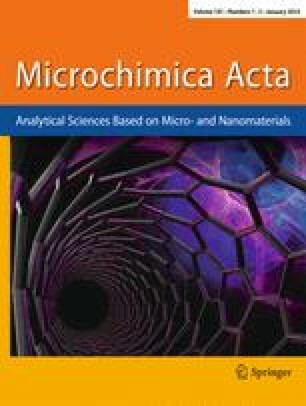 Key words: Plants; certified reference materials; experimental designs; inductively coupled plasma atomic emission spectrometry; multi-element determination.